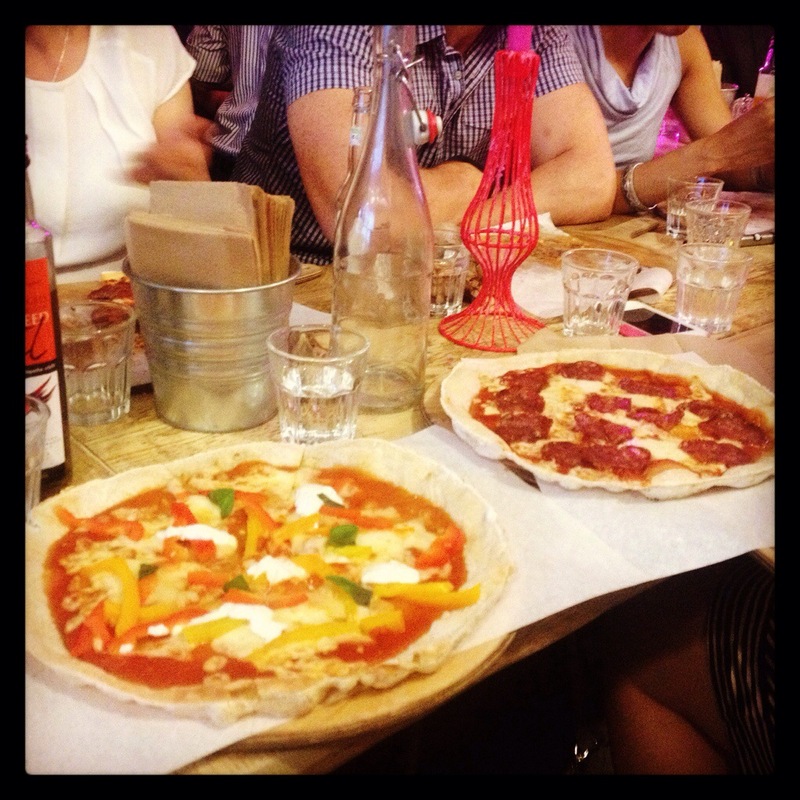 Gluten Free Gathering – definition: Coeliacs and assorted GF dieters get together. Eat good food. Drink good booze. Chat to other lovely GF people, have a fun and worry-free night out. Sound good? Peppers and goat’s curd on the left, veal and sage salami on the right. All gluten free. – A pizza of your choice (I chose the roasted peppers and goats curd, but I actually found the veal & sage salami one even more delicious). We also had two interesting speakers from Cannon & Cannon and Gluten Free Baking and Living, and access to a gluten free lending library full of cookbooks. 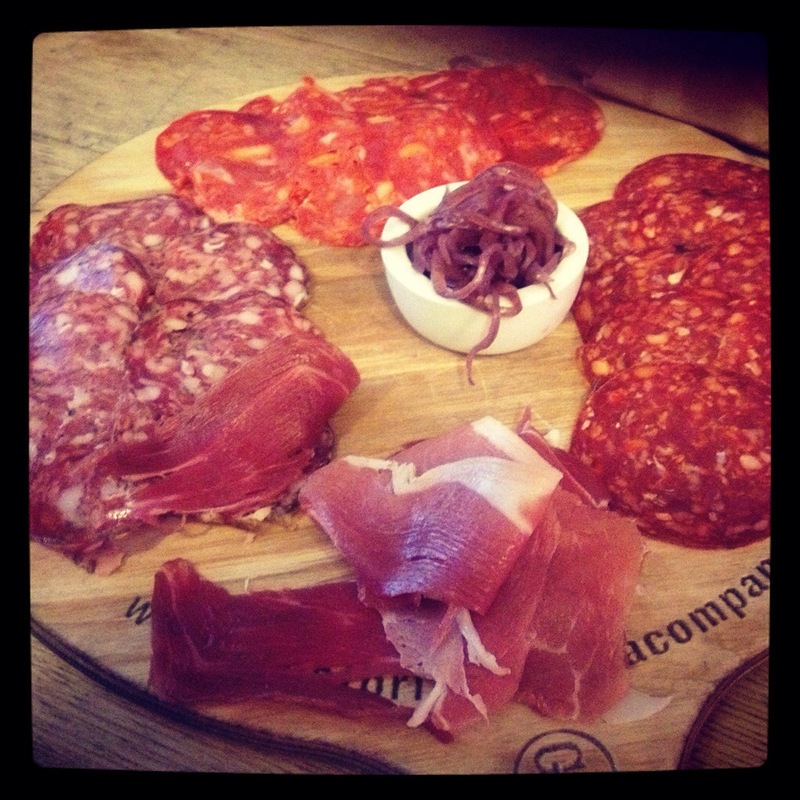 Cannon & Cannon charcuterie. NOM. It’s hard to pick a highlight of the evening as all of the food was excellent (and I don’t say that lightly), but I was really impressed with Gluten Free Baking and Living’s baguettes; it is very telling that people kept asking if we were sure that they were gluten free, because they looked and tasted so good! The Cannon & Cannon charcuterie was delicious, and Annie’s pizza base was wonderfully light and stretchy, a world away from the ‘cardboard-esque’ texture of the gluten free bases of old. 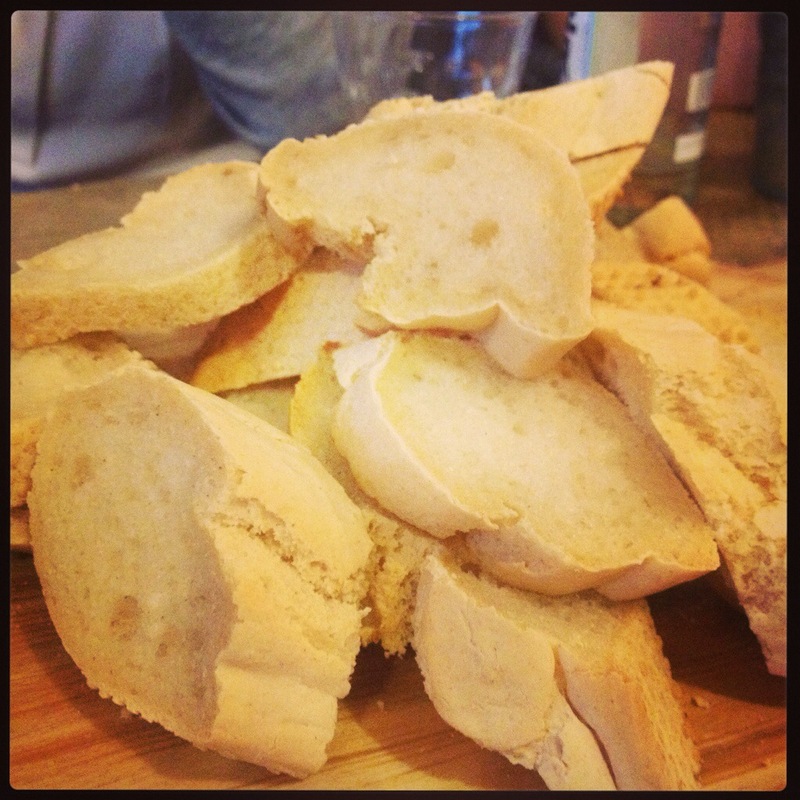 Gluten Free Baking and Living home-baked baguettes. AMAZING. 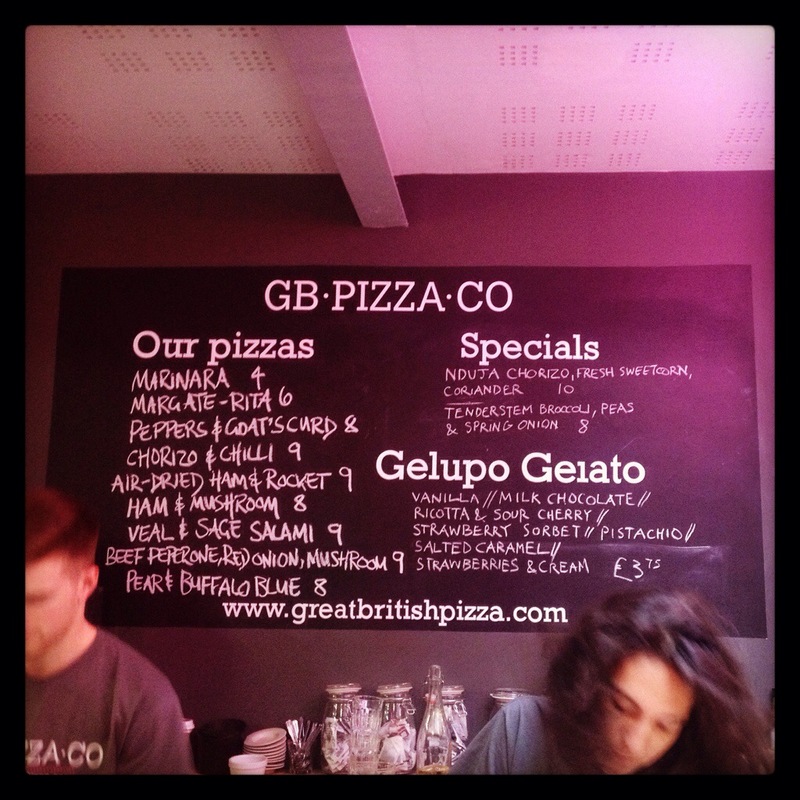 I liked Great British Pizza too. The pizzas were yummy, and the restaurant had a nice, buzzy atmosphere. I would be happy to go back there with friends. My only concern would be cross-contamination, as they do also produce wheatflour pizzas, and may not have always cleaned their equipment as they did for us on the night. Exmouth Market is turning into a bit of a gluten free haven; Hummus Bros is practically next door, and Romeo’s Bakery is just a walk away. 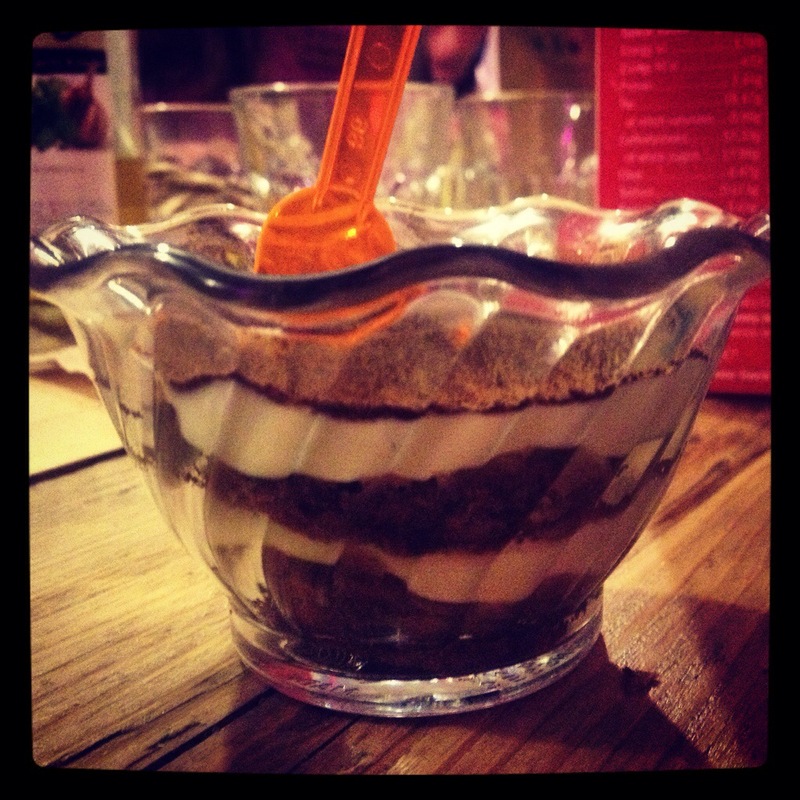 Annie of Annie’s Supperclub’s gluten free tiramisu. A big part of the enjoyment for me was getting to chat to other coeliacs and gluten free people. I think it’s fantastic that the internet allows us to meet and correspond with each other so easily. When I was growing up, I was the only coeliac I knew; now there is a supportive community at the click of a mouse. Of course we swapped Twitter handles. 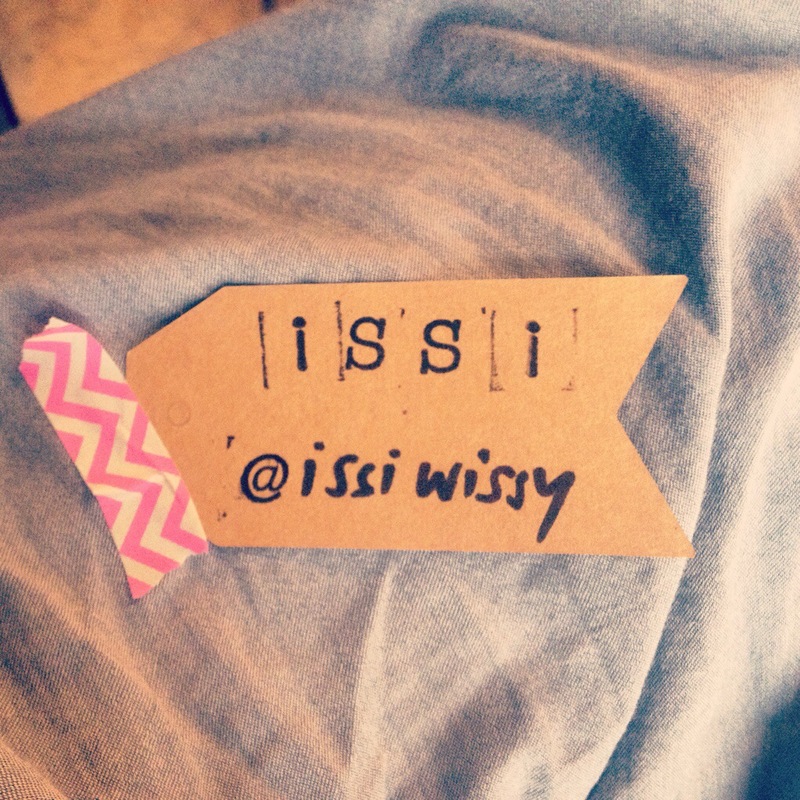 The sweetest name badges ever. I definitely recommend that London-based coeliacs and gluten free people come and check out the next event. Kim has some great ideas for future meetups including gluten free brunch and gluten free beer tasting and it is a lovely way to meet and chat with like-minded people. All in all, the evening was good value and fun, and I wouldn’t hesitate to book again. To keep up to date with future events, follow @GFGathering on Twitter and check out the GF Gathering blog. See you at the next one! Previous PostBreakfast hero products : Gluten, wheat and oat free!